Skiathos is the most cosmopolitan of the Sporades islands, a small paradise like the rest of this group, blessed by nature. Its rugged natural landscape and dense vegetation attracts many visitors who are amazed by this unspoilt beauty. Gorgeous beaches covered by the pine tree forests, idyllic paths are combined with the island's excellent tourist infrastructure. The major settlement of Skiathos located within a small cove is quite traditional, despite its tourist development with a beautiful green backdrop that completes the idyllic scenery of the island. The charming architecture is spread through the town including Orthodox churches and many taverns and bars. 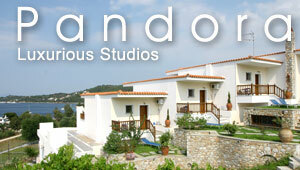 This section proposes a map of Skiathos with all the major locations of the island. View where is Skiathos on a map of Greece. View the map of Skiathos with Google map and discover the villages, the beaches but also all major sightseeing like ancient sites, museums, churches.